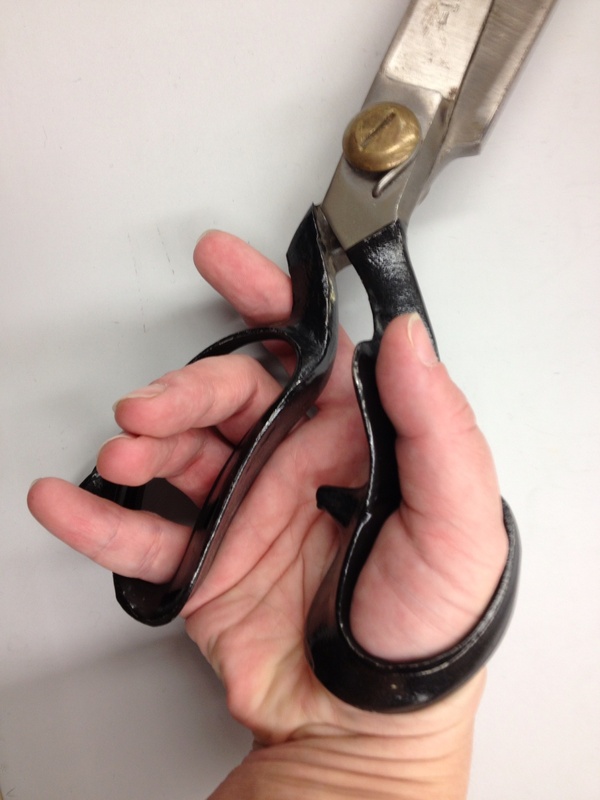 Check out this thumb grip – this is how it should be done, oh scissor designers of the world. This is how. Look at that nice, stable thumb-rest! And the loop goes completely around the thumb at the base. 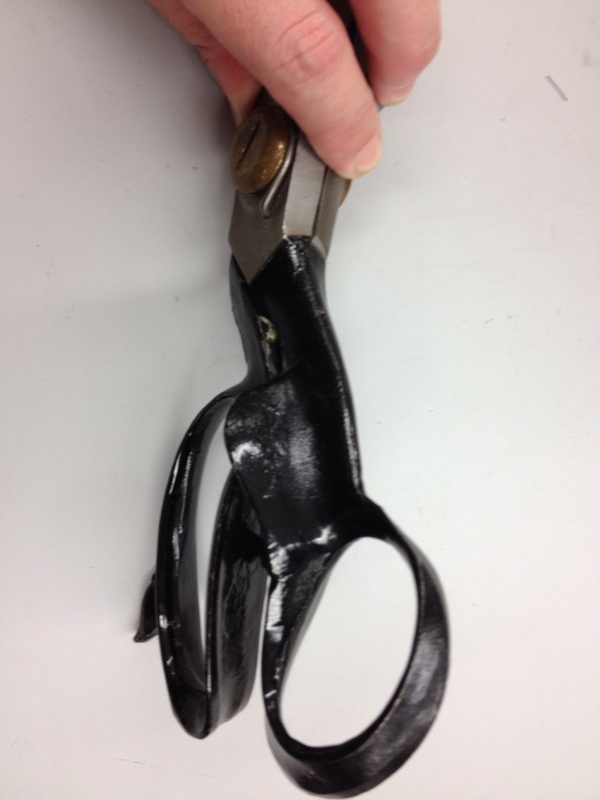 So, if your find your thumb hurts when you cut fabric, look for a scissors like this. But, maybe look for a smaller version, because the blades on this guy are something ridiculously serious like 9-10″. 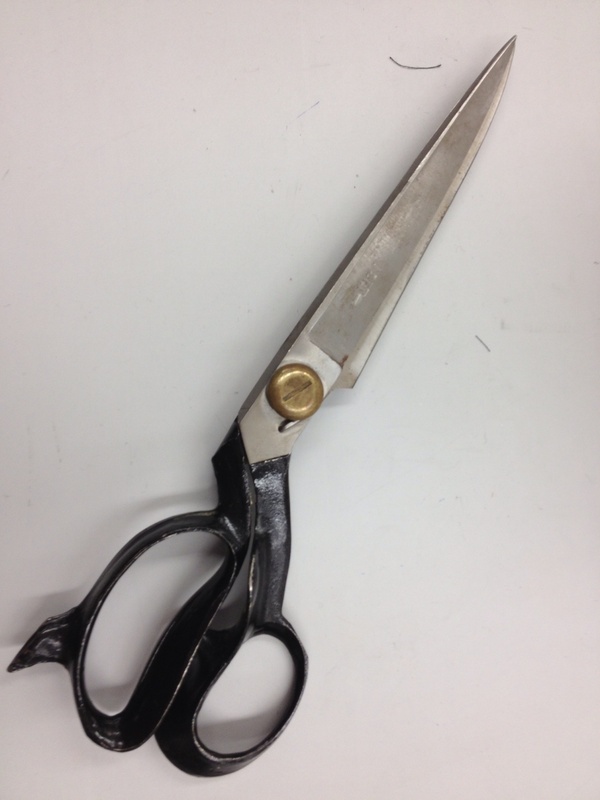 I believe they’re sample cutter’s shears. Oh, the paw is, slowly but surely, getting better. No one has complained (much) about my handwriting lately (which is returning to its normal shade of weird, rather than the stilted third-grade scrawl that happens when you’re having a hard time holding the writing implement) and I’m starting to retrain it to draw. *laugh* I really don’t do anything by halves, do I? I’ve had two trigger thumb surgeries on the left hand and lost 3 months this spring to a “traumatized” radial nerve in the left wrist. I so hear you about the hand thing!